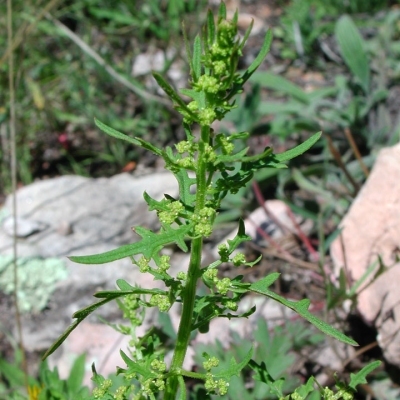 Chenopodium ambrosioides graveolens (Willd.) Speg. The plant is harvested from the wild for its edible leaves and seed, which are eaten locally. S. America - Argentina, Bolivia, Peru; C. America - Guatemala; Southwestern N. America - Mexico, Colorado, Arizona to Texas. A plant mainly of the temperate to subtropical zones, extending into the tropics at elevations of 1,800 metres or more[331[.